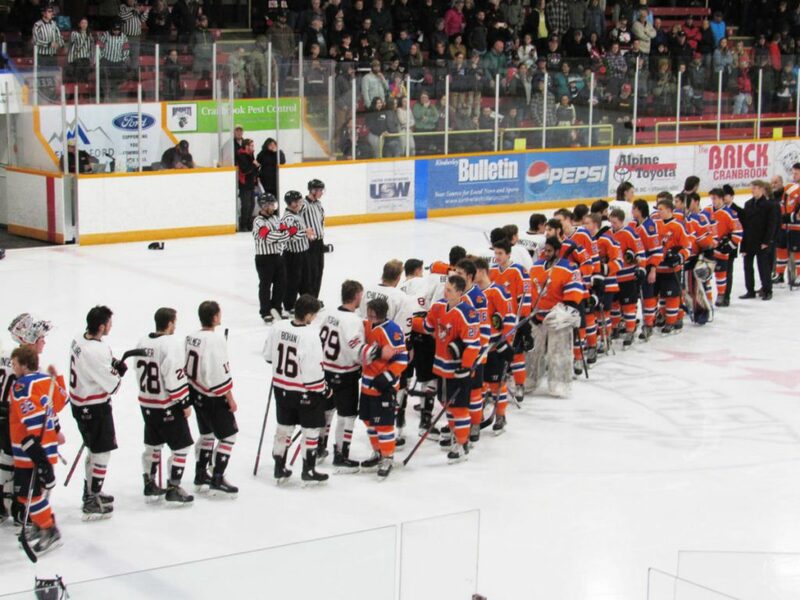 The Beaver Valley Nitehawks will have to wait another week before getting coach Terry Jones his 1,000th KIJHL victory. 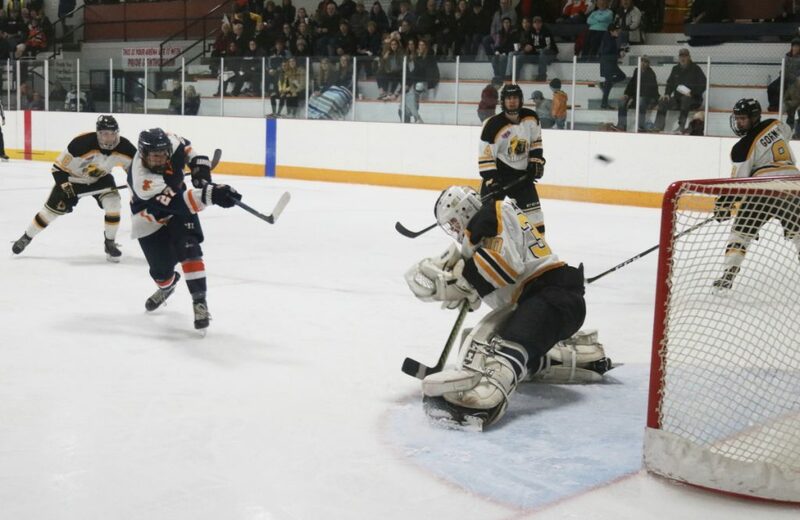 The Nitehawks came out with conviction on Saturday, taking a 3-0 lead before it all unraveled and the Grand Forks Border Bruins battled back to beat B.V. 5-4 at the Beaver Valley Arena. Briar Whyte netted a hat trick for the Bruins and scored the winning goal on an odd-man rush with 3:15 left in the third period. Former Nitehawks defenceman Evan Gorman sent Whyte in on a 2-on-1, and his attempted pass to the left winger ricocheted off the Hawks defenceman and past B.V. goalie Saran Virdee to give the Border Bruins a 5-3 lead. 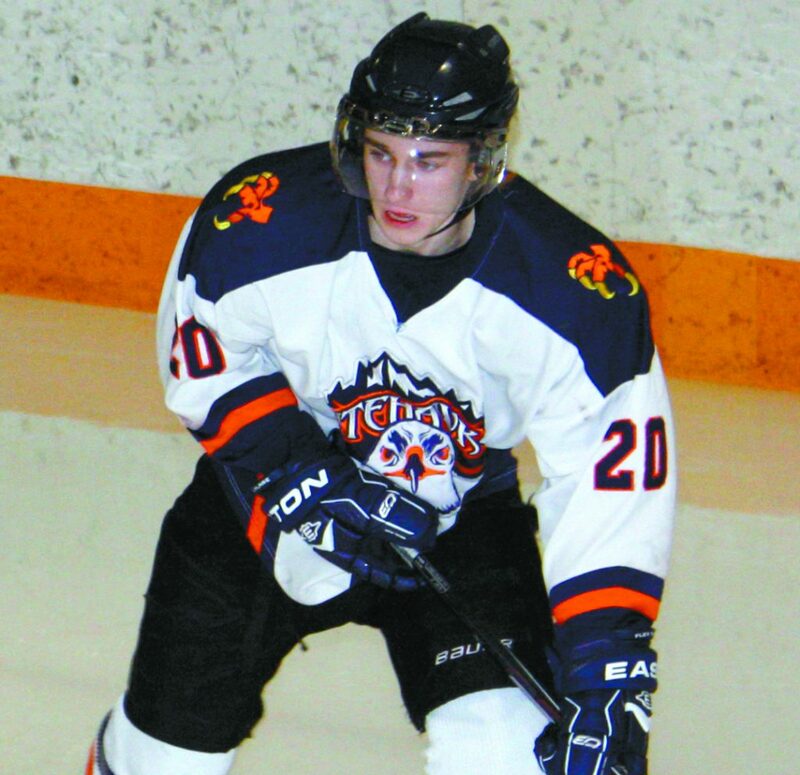 Gorman played three seasons with the Nitehawks before joining his hometown Border Bruins at the start of this year. 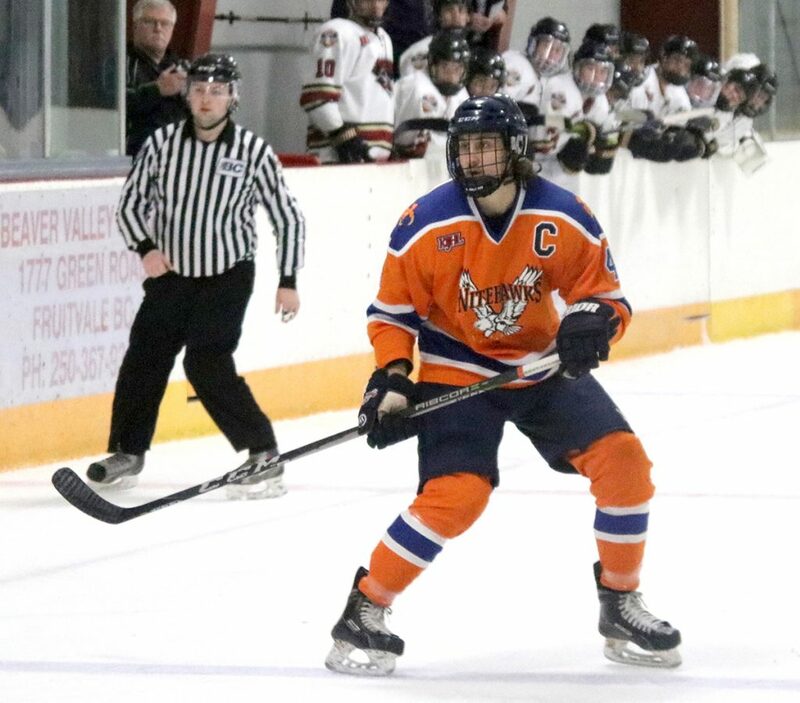 The 20-year-old captain has played 165 games in the KIJHL and won a Cyclone Taylor Cup with B.V. in 2016. And while he admits it’s odd facing his former team, it was a satisfying win. The Bruins were well aware of the potential home-ice celebration awaiting coach Jones for his unprecedented 1,000th win, and they didn’t want to be the ones to give it to him. Nitehawks leading scorer Paul Leroux opened the scoring at 15:18 of the first period. Marty Ingram sent Ryan Crisalli breaking down the left wing, and the B.V. forward passed to a trailing Leroux who wired it top shelf for a 1-0 lead. Michael Hagen made it 2-0 jumping on a partially blocked point shot from Luke Woodrow and roofing it at 2:01 of the first. Then Crisalli converted an Angus Amadio setup in the slot, beating Zac Larson low stick side for a 3-0 lead at 18:24 of the second period. Whyte got the Bruins on the board sniping a high shot over the glove of Saran Virdee 47 seconds later. Whyte then scored his second of the night on a shorthanded goal off a face off in the Nitehawks zone at 13:39. The Edmonton native pushed the puck past the B.V. centreman, walked around him and wired a quick shot by Virdee to cut the lead to 3-2. Liam Stalwick tied the game on the power play with a blast from the point at 9:21, and Garlough-Bell put the Bruins out front for good on another power-play goal at 3:49. Grand Forks outshot the Nitehawks 17-7 in the period, and took a 4-3 lead into the third. The Hawks had ample scoring opportunities but couldn’t finish on a number of point-blank shots. After Whyte made it 5-3, Crisalli notched his second of the night and 11th of the season on a deflection with 2:31 to play. B.V. outshot the Bruins 18-7 in the period, while Grand Forks held a slight 36-33 edge in shots. The Bruins went 2-for-4 on the power play, B.V. was 0-for-4. Crisalli (2G, 1A) earned the game star for the Hawks, and Whyte for the Bruins. 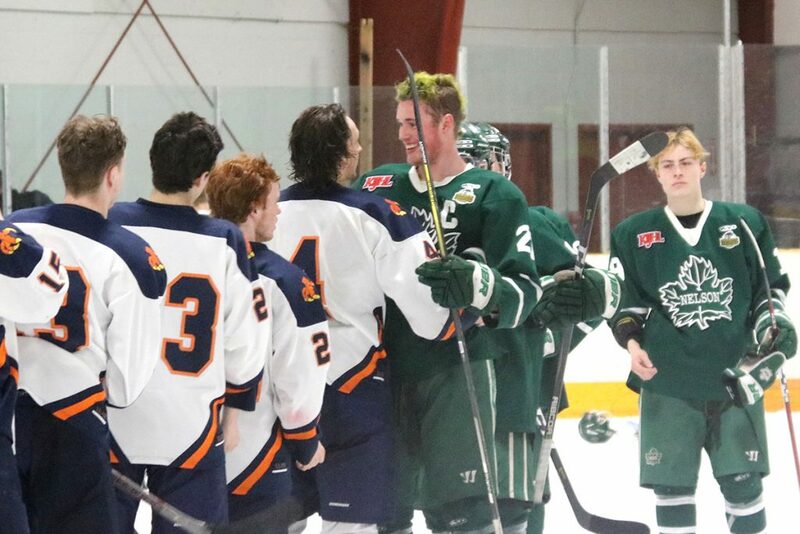 The Nitehawks loss puts their record at 10-10-2-1, good for third in the Neil Murdoch Division, a point behind the Spokane Braves, who beat the division leading Nelson Leafs 4-2 Sunday. The comeback win puts the surging Border Bruins (10-10-1-1) just a point behind the Nitehawks, having gone 4-1-1-0 in November. Beaver Valley travels to Kimberley on Friday for a 7 p.m. game against the Dynamiters.